Chelated Iron is a bio-available form of iron. This form of iron is easily absorbed, and particularly important for teens and women of childbearing age. 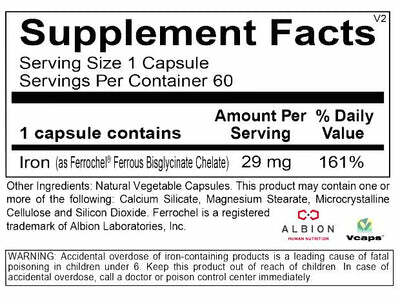 How does Chelated Iron support health? Important for the health of pregnant women and those of childbearing age. 100% natural and bio-available for easy absorption and utilization.